How does the airbrush choose how many colors? Hi! New forum member here. I’ve been going through the youtube tutorial videos and the help file but can’t find the answer. Basically I’ve been playing around the airbrush tool. What I understand is that changing the pressure will increase the number of colors that are showing. What I am having confusion with is that the number of colors showing and how it behaves becomes different for different palettes, even with the same number of color indeces. Could anyone enlighten me about the topic? 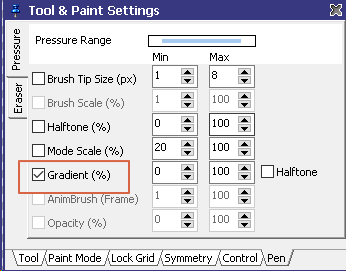 How can I predict how much pressure is needed to display a certain amount of colors and how does the airbrush choose the colors that is paints? Thanks! well, the airbrush tool isn’t really a good thing. It can be used for very simple effects only. Pro Motion is a graphic program where you use a very limited set of indexed colors. The soft airbrush mixes colors but then can only use those that are available in the color palette. A true airbrush usage is only possible in true color graphics. That’s what PM is not made for. but when you combine the airbrush with pre cut brushes or amnibrushes it becomes more powerful! Hey everyone, thanks for the answers! If I may follow up with the question, I understand that the airbrush is a simple tool and doesn’t lend itself to soft-looking effects like in photoshop. However, the thing that I am trying to achieve is quite simple. Any way to do this in the airbrush tool or in any other tool? 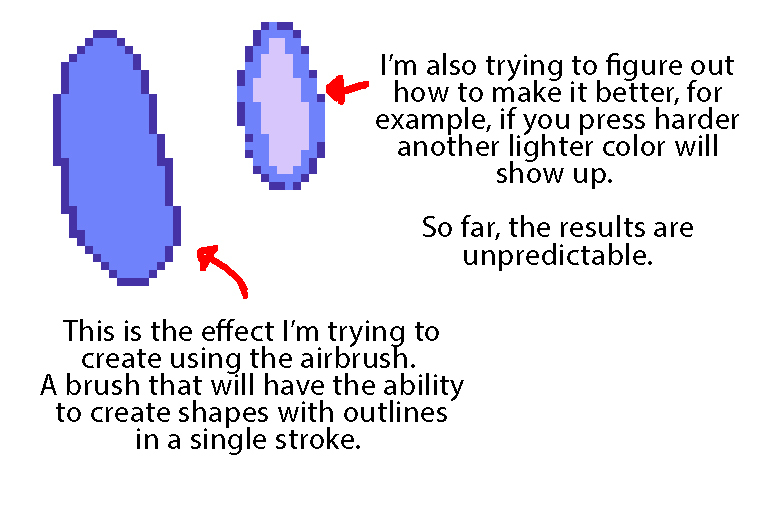 It would really be an efficient way to create shapes that has outlines already and a lighter color if you press hard. Finally, another question. 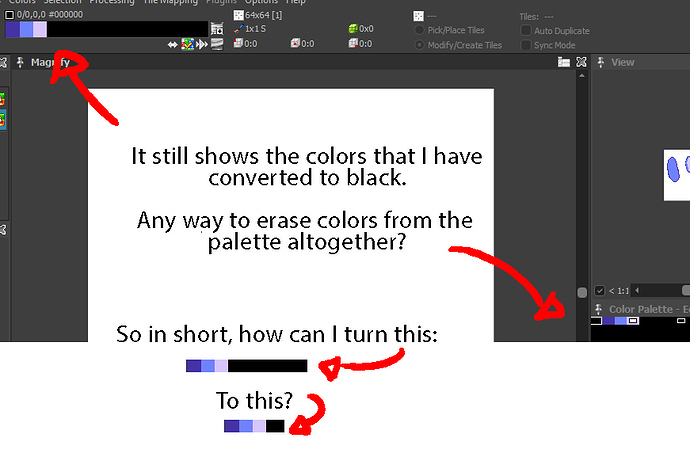 How can I create palette from a PNG image – whenever I create one, it says “No palette data found in this file”. 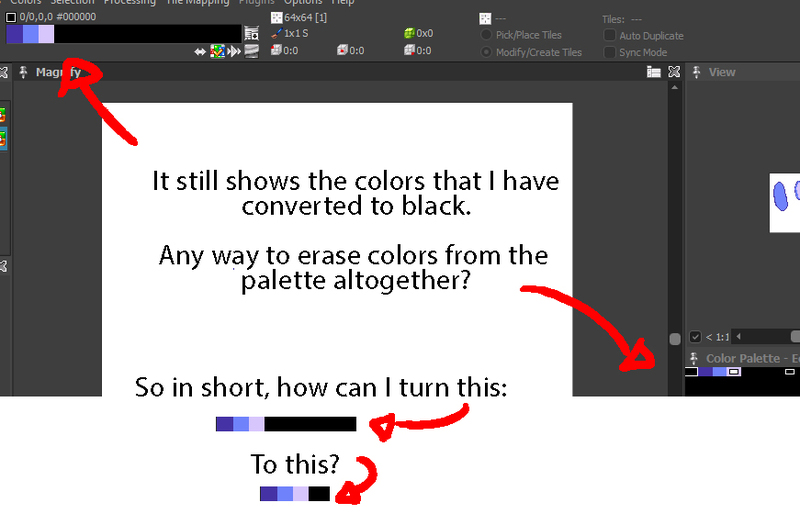 I download .png palettes for Pro motion NG on https://lospec.com/palette-list and it works fine but if I make it myself, it doesn’t work at all. Is there any special settings necessary? Thanks Jan and Morintari for the help! I’m really enjoying the things I’m learning so far! To edit this gradient directly. Click on the icon where the green arrow is to enter the gradient manager. Add, change the gradients to your satisfaction. Always hit F1 to get help for a dialog window. So, a gradient is a kind of “sub” palette of colors from the overall palette which always uses 256 colors. for some more gradient usage. But it won’t create an outline. It will just change the color according to your pen pressure. You can flip the gradient accordingly or select 100-0 instead of 0-100 in the pen settings to do something in reverse direction. This also works with brush tip size. You could select pressure size 10 to 1 meaning that you start with size 10 with low pressure and going down to 1 with higher pressure.